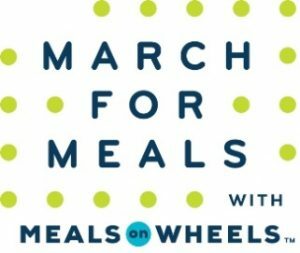 Alpharetta, GA (March 10, 2017) – Senior Services North Fulton announced that it will be participating in the 15th annual March for Meals – a month-long, nationwide celebration of Meals on Wheels and the seniors who rely on its vital safety net. Senior Services North Fulton will have Roswell Mayor Jere Wood, visiting the Roswell Senior Center on March 21st, and Milton Mayor Joe Lockwood, visiting the Milton Senior Center on March 28th. “When people think of the North Fulton community, senior hunger does not immediately come to mind”, said Heather Terry, Community Relations Director for Senior Services North Fulton. “Having our local mayors as advocates for older adults really helps shed light on the issues many of our seniors face every day.” Senior Services North Fulton utilizes the Meals on Wheels program to deliver meals to senior’s homes, and to provide communal meals at the four senior centers they operate. Since 2002, Meals on Wheels America has led the annual awareness campaign in an effort to fill the gap between the seniors served and those in need. The need is widening due to increased demand with a rapidly aging population. Consistent funding the program can be a challenge with rising food, transportation and operational costs combined with declining public and private resources. In March, hundreds of local Meals on Wheels programs, like Senior Services North Fulton, will reach out to their communities to build the support that will enable them to deliver nutritious meals, friendly visits, and safety checks to America’s seniors all year long. For more information on how you can volunteer, contribute or speak out for the seniors in the North Fulton community and across the country, visit www.ssnorthfulton.org or www.marchformeals.com. Meals on Wheels for Pets – for seniors that have trouble affording or getting out to buy pet food. When you are looking to give back to your community, please keep Senior Services North Fulton in mind! Your generous donation will help keep all of our services available to seniors that need them. To donate or get more information on our programs, visit www.ssnorthfulton.org or call 770-993-1906. Meals on Wheels America is the oldest and largest national organization supporting the more than 5,000 community-based senior nutrition programs across the country that are dedicated to addressing senior hunger and isolation. This network exists in virtually every community in America and, along with more than two million volunteers, delivers the nutritious meals, friendly visits and safety checks that enable America’s seniors to live nourished lives with independence and dignity. By providing funding, leadership, research, education and advocacy support, Meals on Wheels America empowers its local member programs to strengthen their communities, one senior at a time. For more information, or to find a Meals on Wheels provider near you, visit www.mealsonwheelsamerica.org.